I’ve just found out that Newport is twinned with Guangxi Province in China. Well I never, that is absolutely superb. I hope some of you get together each summer holidays and swap Pokemon, or whatever it is kids do on exchange trips nowadays. It sounds like the people of Newport enjoy unusual twinnings, which is good news because I’ve got one for you on Saturday. 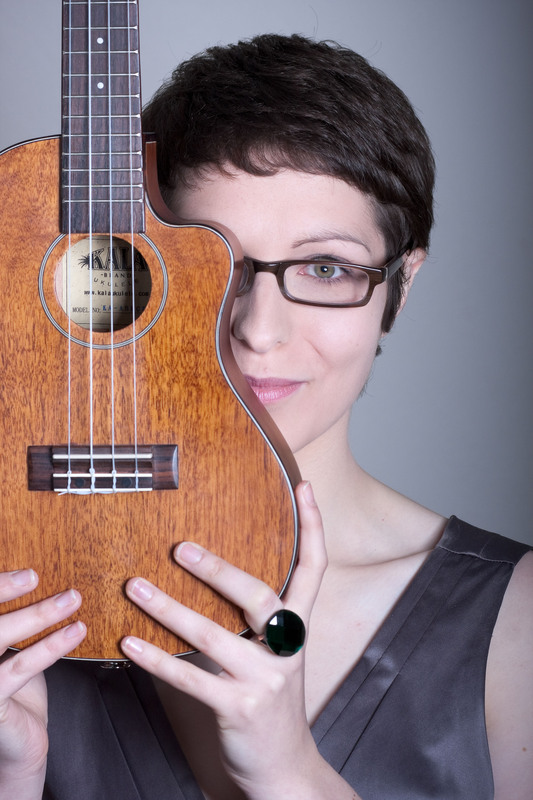 It’s “Songs for Modern Loving” a musical comedy show that matches twisted love ballads with the bottled-sunshine sound of the ukulele. From revenge fantasies about Carol Vorderman and a marriage proposal gone horribly wrong, to scientifically accurate songs about the mating habits of animals and the classic “isn’t it great that we stayed together for the sake of the children?” there’s something for everyone who has ever been in a relationship. I wrote this show for the Edinburgh Fringe last year, and at the time I wasn’t over the moon about this thing David Bowie calls “Modern Love”. There’s nothing quite like a lifetime of failed relationships and unrequited love to give you something to write about… The problem now is that since last year I’ve found a lovely partner. He’s great. Perfect, even. I’m so happy I make myself sick. I’m as smug as a bug in a rug, which isn’t that smug, so I’m like that but with an extra dose of smug on top. I’m displaying all the loved-up coupleness that I used to despise, the kind that made me want to put weedkiller into their shared cup of tea. I’m not sure I’ll ever pen a vitriolic anti-love song again. I’m now just hoping that everyone else’s relationships starts falling apart, so I have something to sing about in Edinburgh next year. Here’s an idea. Come along to the show with your partner (Saturday, 6.30pm at the pop up venue) and pretend to break up right at the end. You’d better make it spectacular, the room is done up like a space ship, I don’t want any of that boring “we need to talk” rubbish. Bring something fairly soft to throw at your partner, and some brilliant insults to shout at them. Helen is co-hosting Sessions on Friday evening, and her solo show is at 6.30 on Saturday in URBAN Empty Shops, 21-22 John Frost Square. Grab tickets to see Helen Arney here! 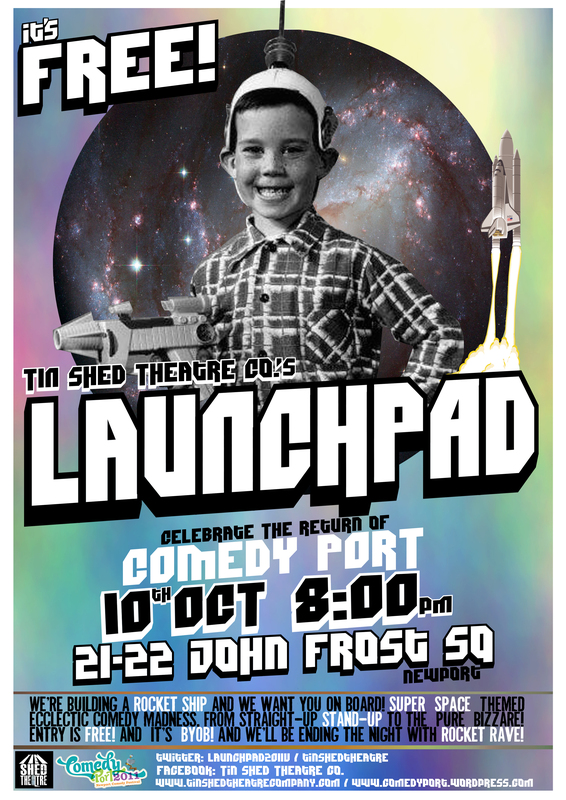 Comedy Port is about to lift-off with Tin Shed Theatre’s Launch Pad tonight (Monday 10 October) at 8pm. at 21-22 John Frost Square. Turn up – it’s free. 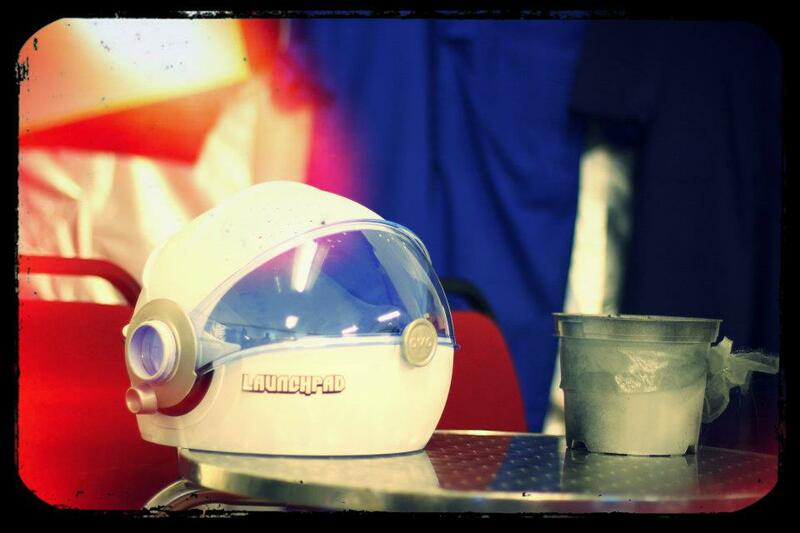 All we ask is if you enjoy it, make a donation to Tin Shed Theatre on the night. I’d be the first to admit I’m not the most blokey person you’re ever likely to meet. I don’t drink lager, I’m not that bothered about cars outside of their ability to get me from A to B and I do try my best not to objectify women on a regular basis. But like most ‘blokes’ I do hold a deep seated suspicion of contemporary dance. Well, of any kind of dance to be honest. And dance is exactly what New Art Club are about. The duo of Pete Shenton and Tom Roden formed New Art Club in 2001 but have been working together since 1995. 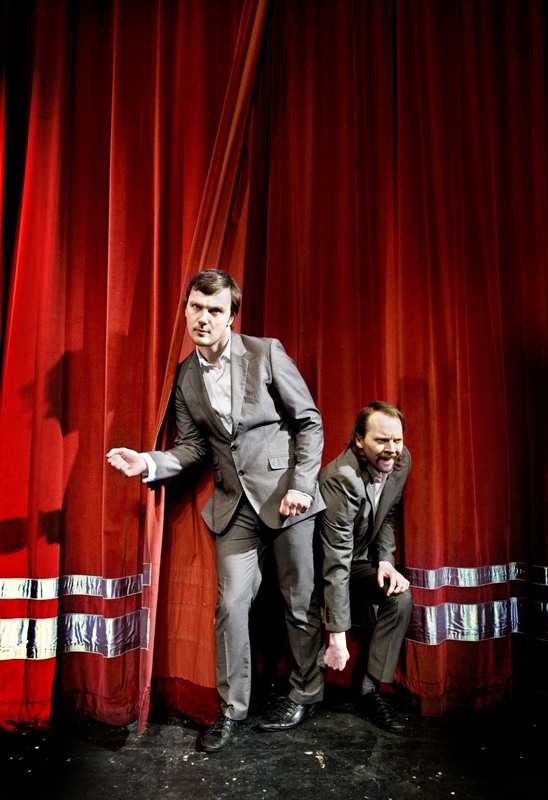 Their breakthrough came in 2003 with the hilarious spoof on modern dance, This is Modern. Since then they’ve been successfully combining dance and comedy, successfully straddling both worlds since 2008 when they took their show to the Edinburgh Fringe for the first time. 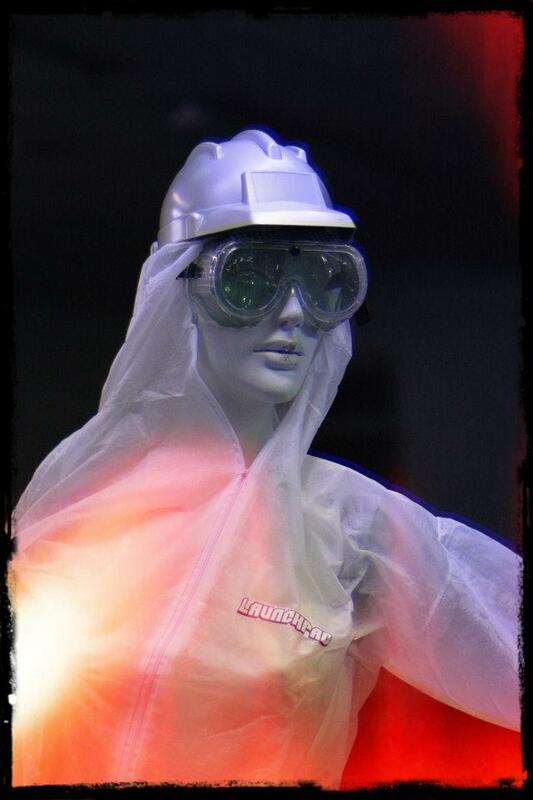 Last year’s show was entitled This is Now. It was/is a deconstruction of the first Now That’s What I call Music album. The poster featured the duo in gaudy leotards complete with ridiculous expressions on their faces. I can recall taking all this in and making my mind up instantly. This was going to be dreadful. I had agreed to go so I tried not to grumble but I was sure of myself. I wasn’t going to enjoy this nonsense one bit. It must have taken New Art Club all of about 2 minutes to break through the metaphorical brick wall of cynicism I had built up around myself and have me doubled up in my seat, laughing like a loon. I am thoroughly looking forward to them returning to Comedy Port on Thursday and I’ll be in the front row, wearing lycra. 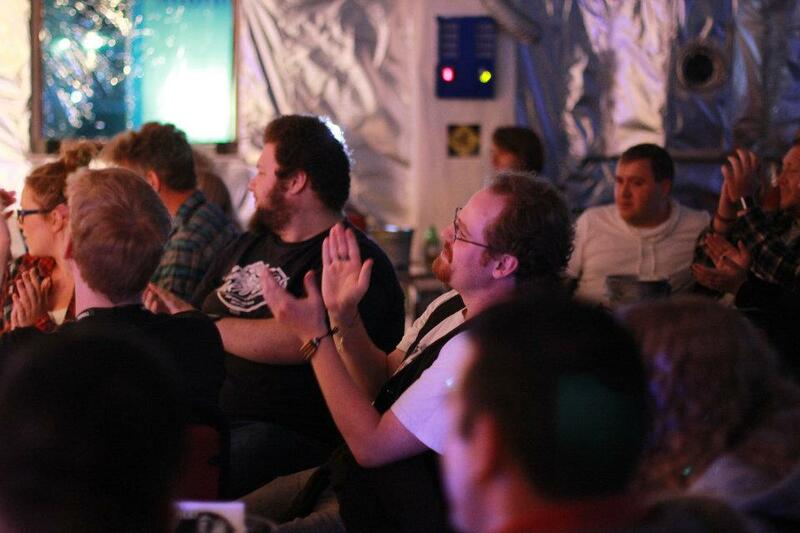 Iain Peebles is a Comedy Port volunteer. 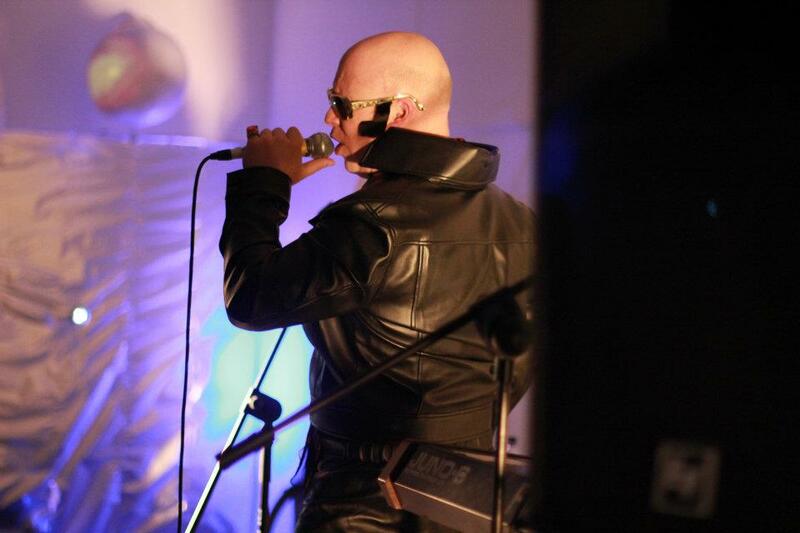 Big Bag of Boom by New Art Club will be at The Riverfront at 7pm on Friday 14 October. Click for more info and to book. Newport eh? Much better than the old one. That’s what I’ve heard. Not that I’ve ever seen the old one but I presume it was, er, well, old. That’s normally the reason for building new ones isn’t it? And now it’s all new and shiny and has steel sculptures and things, so well done everyone involved. I’ll be honest, I haven’t seen much of Newport on previous visits, bar from a carpark and The Riverfront where I spoke to some haematology nurses and a man who sold leather. Bloody tough jobs, literally. 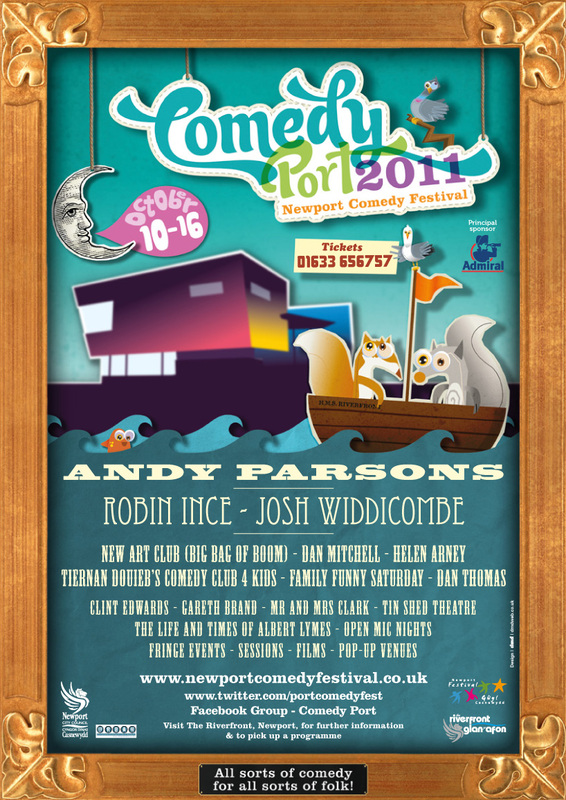 But this will change for when arriving at Comedy Port I shall endeavour to see all of the sights Newport has to give. According to Wikipedia I could go see Fourteen Locks. I hope they are all different types of locks for bikes and such otherwise I’ve probably seen that many already just on doors all over the place. The Transporter Bridge sounds amazing, and I hope, just like in the Jason Statham films, crossing it will reveal immense action montages. Lastly, I’ll probably visit the Roman Legion museum in Caerleon as I like Romans. Well I like Café Nero anyway, so that’s probably enough. Essentially it will be an awesome day. What would make it more awesome is if you bring all the smaller denizens of Newport to Comedy Club 4 Kids at The Riverfront on 15th October at 2pm. There will be stand up for small people and big people who don’t like the swearing. Maybe bring your own locks? We might have more than 14 altogether and could get our own Wikipedia entry? 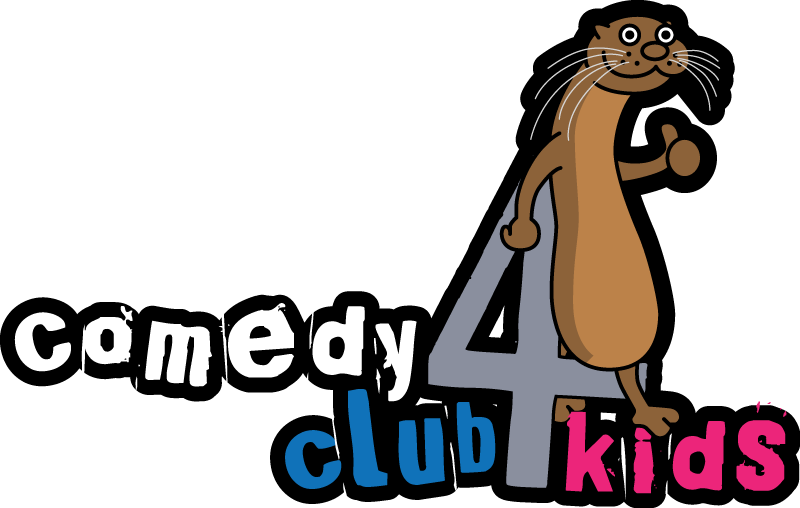 Buy tickets for Tiernan’s show Comedy Club 4 Kids here. 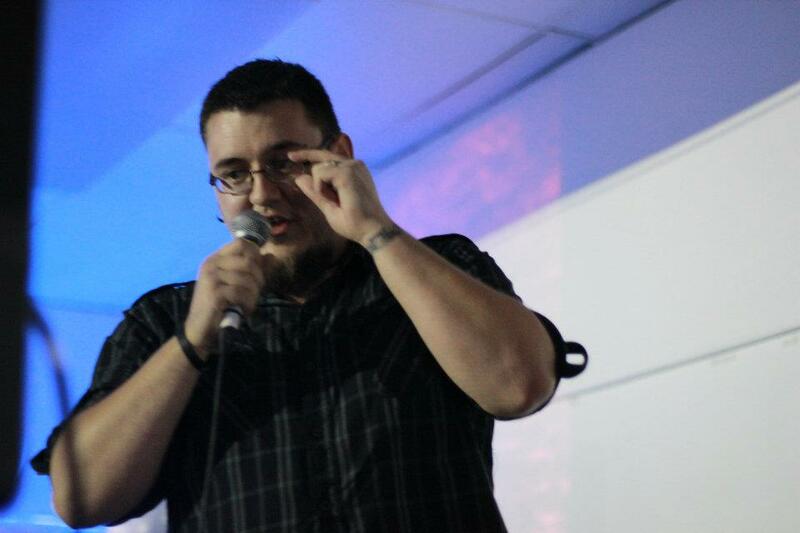 He’ll be bringing other, very funny comedians for kids with him.